Whatever you focus on becomes real in your life. You can choose to believe that your life is abundant. What do you have to be grateful for today? That is a great question for tapping into the abundance that is – and for creating more. 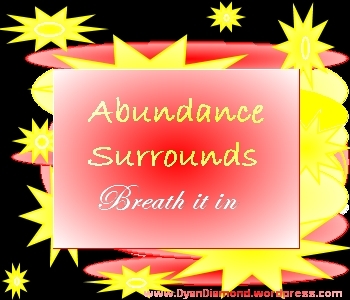 Abundance is all around you. Just breathe it in.